People who work with databases usually have to work with tables. 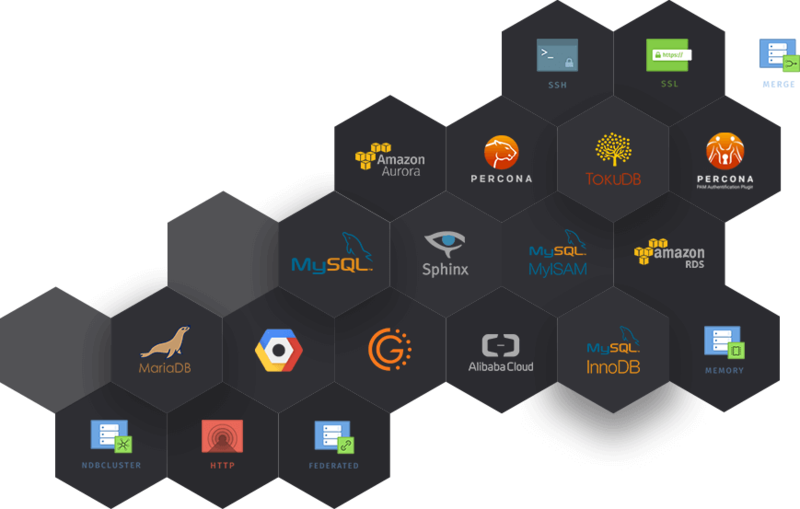 Actually tables are the most significant part of any MySQL database. 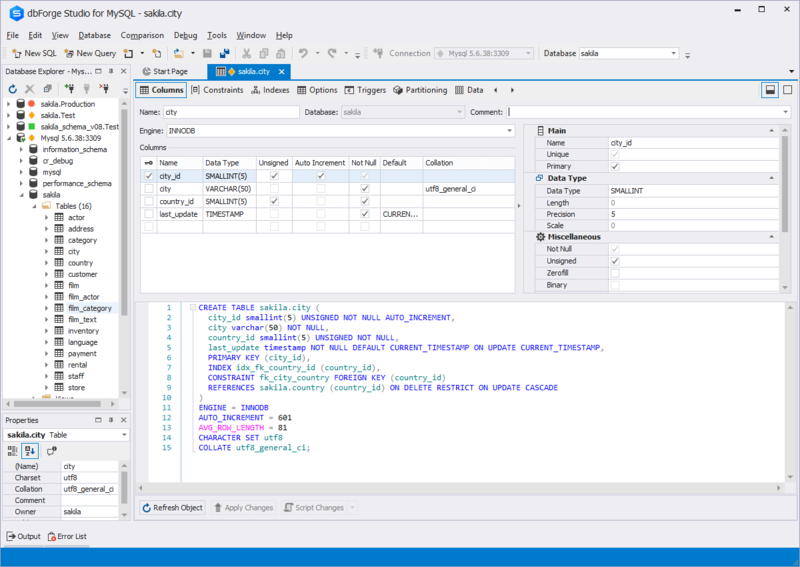 dbForge Studio for MySQL provides table designer for creating tables and modifying them. 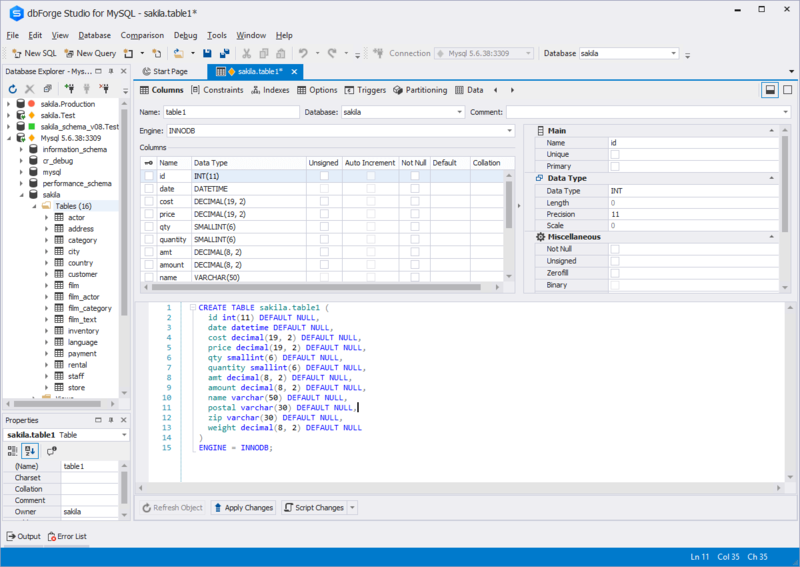 In dbForge Studio for MySQL table designer, you can create and edit tables from the tool's grid. It allows adding new columns in one click and specifying major properties without opening any extra windows. By checking the corresponding checkboxes, you can easily set and remove primary keys. By clicking on the corresponding field, you can add comments or define collations. Under the grid, the table DDL is displayed and all changes you make are immediately reflected in this part of the editor. In case the view with the script is not necessary, you can change the window layout and it will be hidden. To simplify creating columns, the application provides the heuristics feature. When you enter frequently-used column names, such as ID, Name, Price, etc, or when these words are a part of the name, the application will automatically set the data type that corresponds to the name. 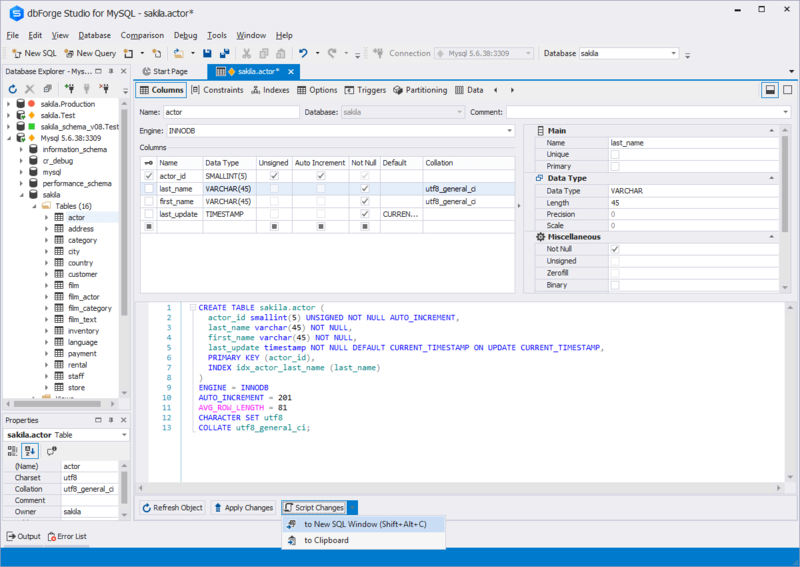 If you are editing an existing table, you can see all changes you make in the application SQL editor. It's enough to perform the changes in the visual grid and press the Script changes button - and they will be displayed in new SQL document. If you want, you can copy them to clipboard directly from Table designer.